The goals include reducing wildfire risk, improving long-term carbon sequestration and bolstering resilience in the face of climate change, with an emphasis on California's rural regions and low-income communities. 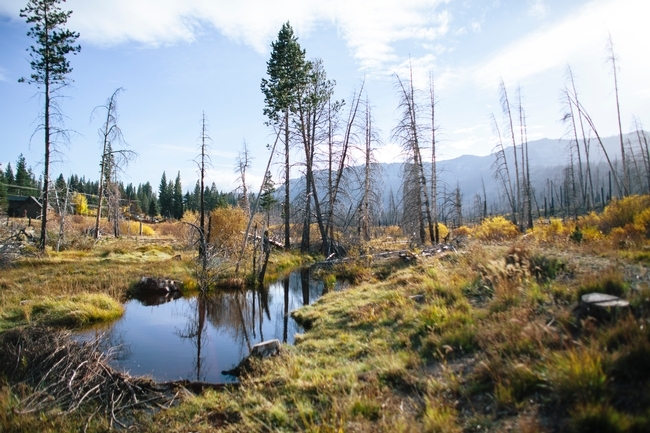 “Our part of the project is to work with stakeholders and identify areas where we can focus management practices to promote healthy forests, minimize wildfires, improve water security and increase carbon sequestration,” said Toby O'Geen, UC Cooperative Extension soil resource specialist at UC Davis. California's recent drought, tree die-offs, wildfires and rising temperatures all point to the necessity of improved forest stewardship, Goulden said. “Officials in the state government and agencies recognize this need, but uncertainty over how to proceed has sometimes slowed progress,” he said. Most of the work will be conducted by scientists at Merced and Irvine, but collaborators from UC Berkeley, UC Davis, Stanford University, San Diego State University and the University of California Division of Agricultural and Natural Resources, as well as state agencies, will play important roles. At UC Merced, an interdisciplinary group of researchers from two departments — Civil & Environmental Engineering and Management of Complex Systems — will collaborate with UC Cooperative Extension and engage with local stakeholders. The group will study and identify the most-effective land-management practices, in terms of water conservation, forest health, fire resistance and carbon capture. “We will develop the spatial data and analysis tools to plan landscape restoration, develop local capacity for better managing the state's wildlands in a warming climate, and enumerate the greenhouse gas and other benefits from investments in land management,” Bales said. Goulden, professor of Earth systems science, said UC Irvine researchers will use a big-data approach to analyze observations collected by satellites since the 1980s to measure the efficacy of thousands of past and ongoing forest treatments, while UC Merced takes a different approach. Because there are critical gaps in the understanding of carbon cycles, uptake by forests and negative feedback from climate change, this project initiative has been established to develop new knowledge through measurements and modeling. Researchers will synthesize the resulting data to produce actionable information for stakeholders. Bales and Goulden agreed the Innovation Center will target low-risk, high-yield opportunities to reduce California's greenhouse-gas contributions. Just a small improvement in management efficiency will have meaningful benefits — on the order of several million metric tons of CO2 per year, Goulden said. The program will also benefit low-income communities in the state by reducing wildfire risk, which disproportionately impacts poorer areas in California; by maintaining water quantity through better vegetation management; by fostering tourism in disadvantaged locales; and by preparing students in these areas for careers in sustainability and climate resilience.